*Mesh Backwall (no artwork) $180.00 ea. *3-YEAR DEFECT WARRANTY ON SEAMS & PARTS. people will be attracted to your new mini-location. 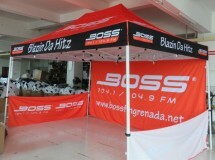 Promotional Tents promote your product, brand or company, and protect your employees from the elements...rain or shine! Easy set-up and take-down as Pop-Up Models have one release mechanism that operates like a large umbrella...the entire unit collapses easily for transport. Super-strong Aluminum Frame. 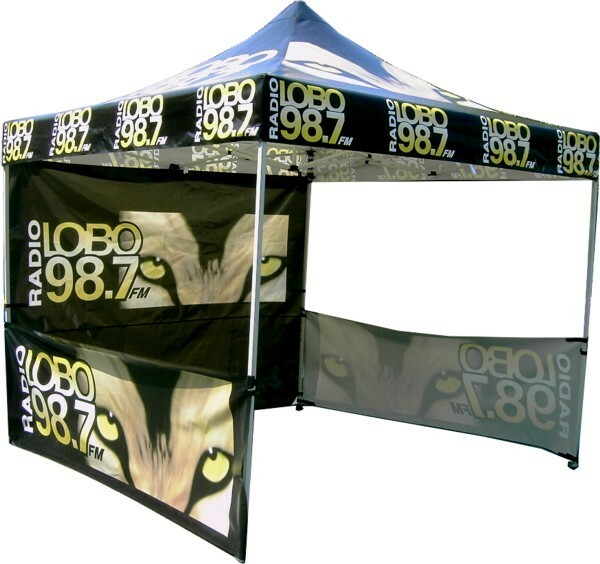 Promotional Tents are Made of Heavy-Duty UV Coated Poly Nylon, and frame is Powder Coated Steel. 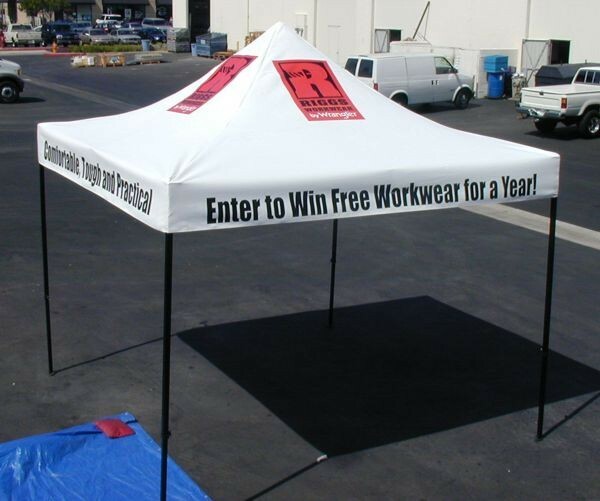 Offers shade and weather protection for employees & customers. Standard heights are 10’x10’, 10’x15’, or 10’x20’, and can be placed near any storefront, or roadway, displaying company logo or product being promoted. Can increase Traffic & Sales 5%-10% almost immediately. These significant sales increases are possible when using the Promotional Tents on a regular basis as surrounding auto and pedestrian traffic react to the Event Tents. From parking lot sales to special events, pop-up tents let your business market its products directly to customers in an exciting way. They can also be used as part of trade shows, fairs and other special events. Easy to set up, easy to take down and ideal for promoting your products directly to customers, our promotional pop-up tents are a great addition to any business’s marketing toolkit. One of the easiest and most effective ways to increase interest in your business is to turn it into an exciting destination. 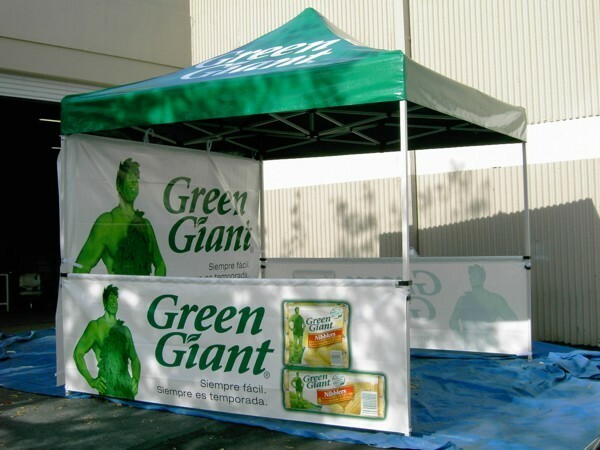 Our promotional pop-up tents can liven up your retail store’s parking lot or outdoor area, making it a fun place for passersby. If your retail store is located close to a major road or walkway, setting up a pop-up tent outside is a tremendous way to attract passersby and turn your location into a fun, exciting place to shop. 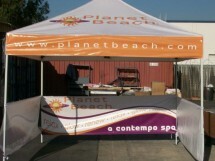 Pop-up promotional tents are also fantastic marketing tools for sales, special offers and events. Shoppers associate pop-up tents with value and special offers, making them a serious way to draw people to your store and increase sales. Does your business exhibit at trade shows and fairs? Our pop-up promotional tents are excellent marketing tools for trade shows, fairs, parties and other special events where your customers can be found. Give away free samples to prospective customers at a trade show or industry event or offer a special deal on your products as part of a party or local event. 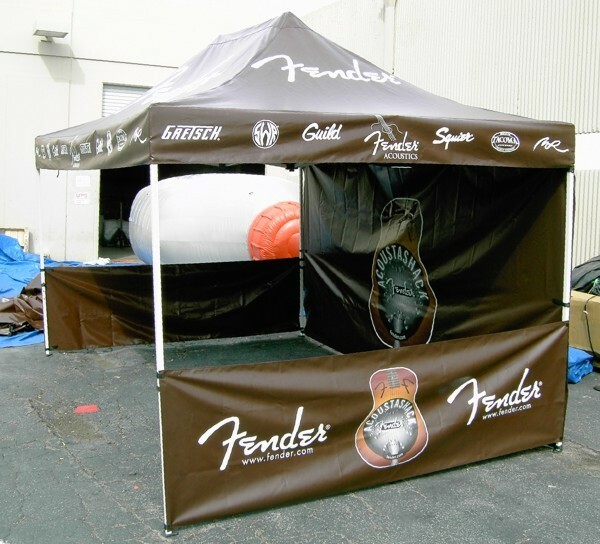 Our pop-up tents are also ideal for local markets, swap meets and parking lot sales. Easy to set up and even easier to take down, you can set up our promotional pop-up tents in minutes, making it easy to establish a pop-up store wherever and whenever your business sees a great sales and marketing opportunity. As well as giving your business a great sales platform, our pop-up tents are fantastic marketing tools that can help your business interact with its target audience, build a powerful brand and attract retail customers. All of our promotional tents are made from high quality, heavy duty UV coated poly nylon 600D canvas, making them extremely durable. 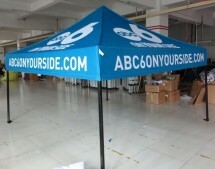 You can easily customize your pop-up tent with your company’s branding, sales message or colors. 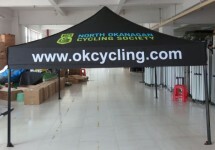 Highly visible, our tents are great tools for communicating your company’s message to customers. 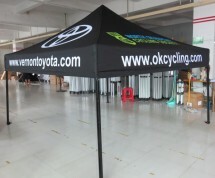 Generate sales and build a relationship with your target audience at the same time using our high quality, highly effective pop-up promotional tents. Few factors are important in marketing as visibility. 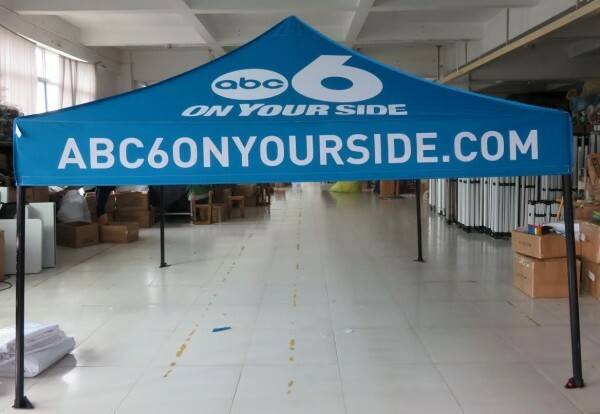 Not only do our promotional pop-up tents let your business take part in parking lot sales, trade shows and local markets – they let you raise visibility and awareness at the same time. From opening up new sales channels to strengthening your brand, our pop-up tents are versatile sales and marketing tools that offer a massive range of advantages for your business.